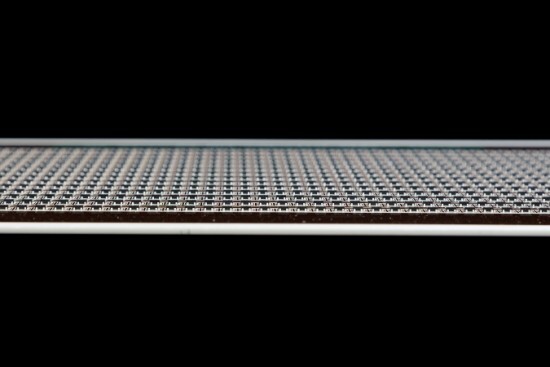 Echodyne, the metamaterials startup company backed by the likes of Bill Gates and Paul Allen, announced a successful test of its detect-and-avoid radar system for small drones. Bellevue, WA-based Echodyne—one of the startups commercializing metamaterials technology from patent aggregator and invention company Intellectual Ventures—says a small drone outfitted with a lightweight radar system could track stationary and flying objects. The company describes it as the first demonstration of air-to-air radar on a small drone. Co-founder and CEO Eben Frankenberg says it’s also an important milestone on the way toward a vastly expanded market for small drones in applications that require operations beyond a pilot’s line of sight, such as package delivery, infrastructure inspections, media, and more. Current Federal Aviation Administration rules require small drone pilots to stay in visual contact with their vehicles. Regulators are expected to eventually allow drones to operate beyond a pilot’s line of sight, provided they are equipped with a detect-and-avoid system for safe navigation and collision avoidance. “The ability to build a radar small enough and light enough to fly on a small drone to do detect and avoid, especially at these kinds of ranges, is phenomenal,” Frankenberg says. Echodyne is trying to upend the economics of the radar business using a new technology—metamaterials radar—that it says will unlock new applications, such as small drones and autonomous cars. Metamaterials are tiny metal shapes that interact with radio waves in specific ways, printed on circuit boards and controlled with software. They offer significant improvements over current radar technology in terms of cost, weight, size, and performance, the company says. The test used the same radar that’s in a developer kit Echodyne released earlier this year. It was carried out by an unnamed Echodyne partner over a Texas field, and the radar performed as expected, tracking airborne targets and features on the ground “with a high degree of accuracy,” Frankenberg says. It was able to detect a Cessna-sized object flying as far as 450 meters away, he says. Echodyne plans a more robust version for commercial release next year that it says could detect a small drone at 750 meters, and a small plane at 2 to 3 kilometers.